The PR451 impact press is an all air system – with no electricity required. This system comes complete with all required air controls. 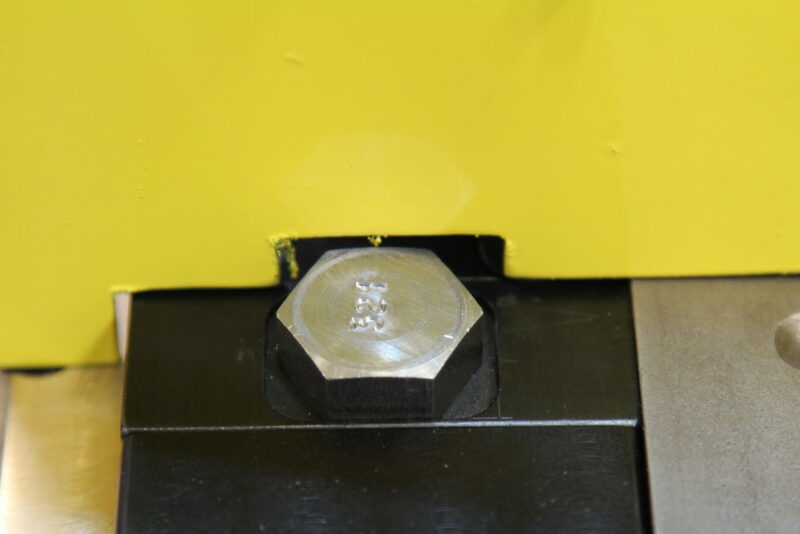 The air impact marker line is know for a quick and low cost marking style. The PR451 offers these features plus more. The PR451 is a Slide-A-Mark telescoping cylinder. 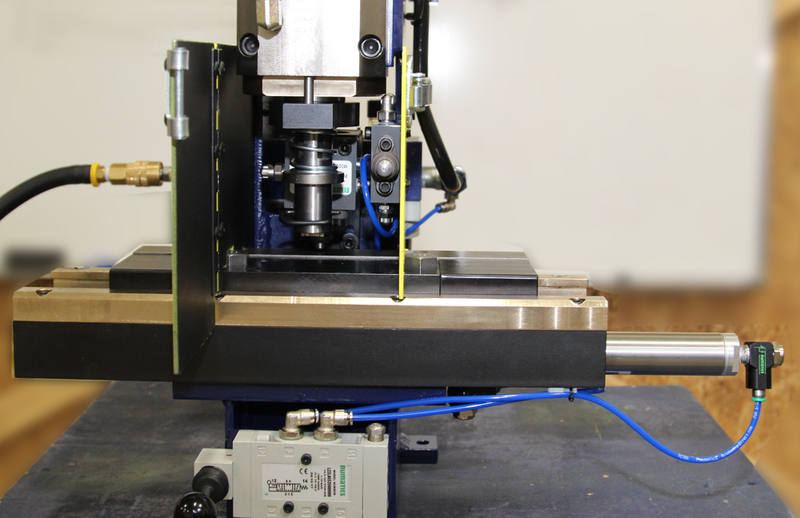 The process uses the tooling to seat the part in place reducing the need for a clamping device. This features reduces price and cycle time.